For boutique lovers like myself, Boutiqueaholics in Las Vegas has everything you love in one container. Literally. 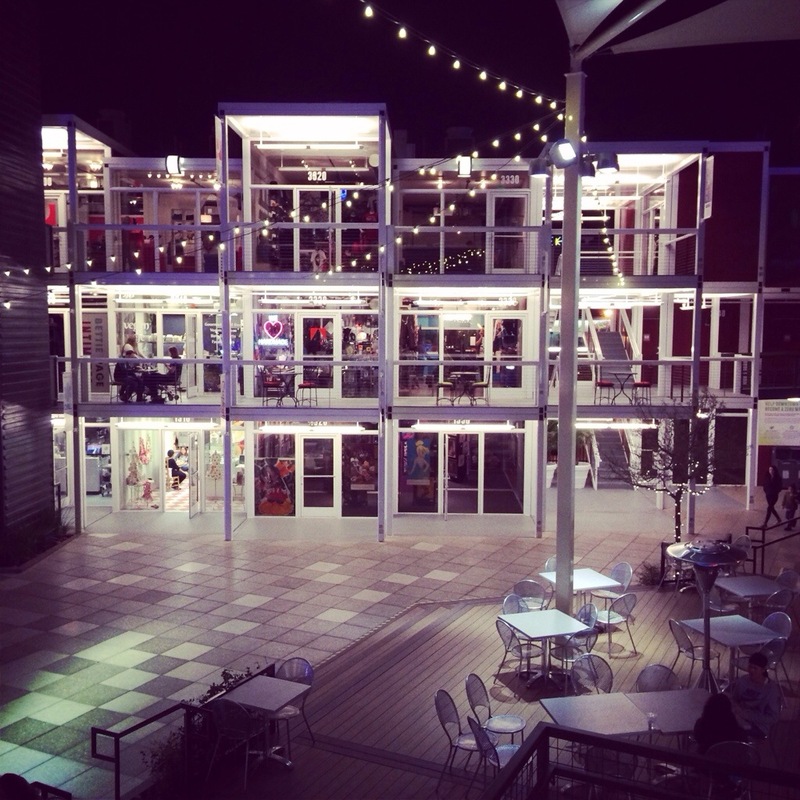 It’s in Container Park, which is a fun retail, dining and entertainment development in Downtown Las Vegas. 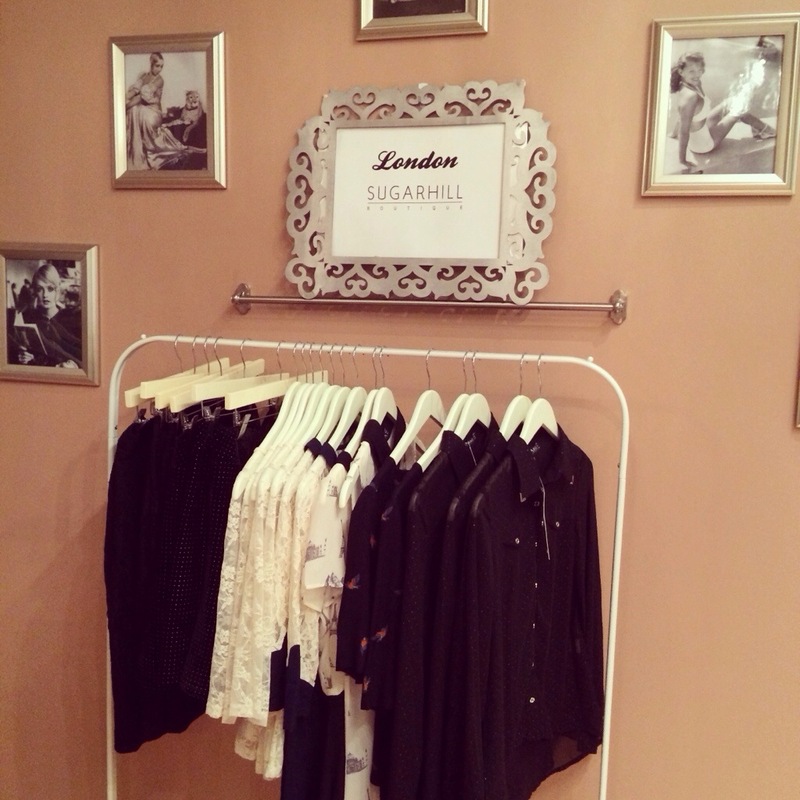 Boutiqueaholics is a boutique within a boutique. Several fashion lines and stores from around the world sell their trendy pieces under one roof. Clothing from Lili Boutique, one of my favorite local shops, can also be found here. Other lines include Sugarhill from London, Growze from Los Angeles, LuxC Closet from Miami, Babel Fair from New York City and Hey Gorgeous from Orange County. Not only are the clothes adorable, but so is the decor! I love the simple, vintage style. 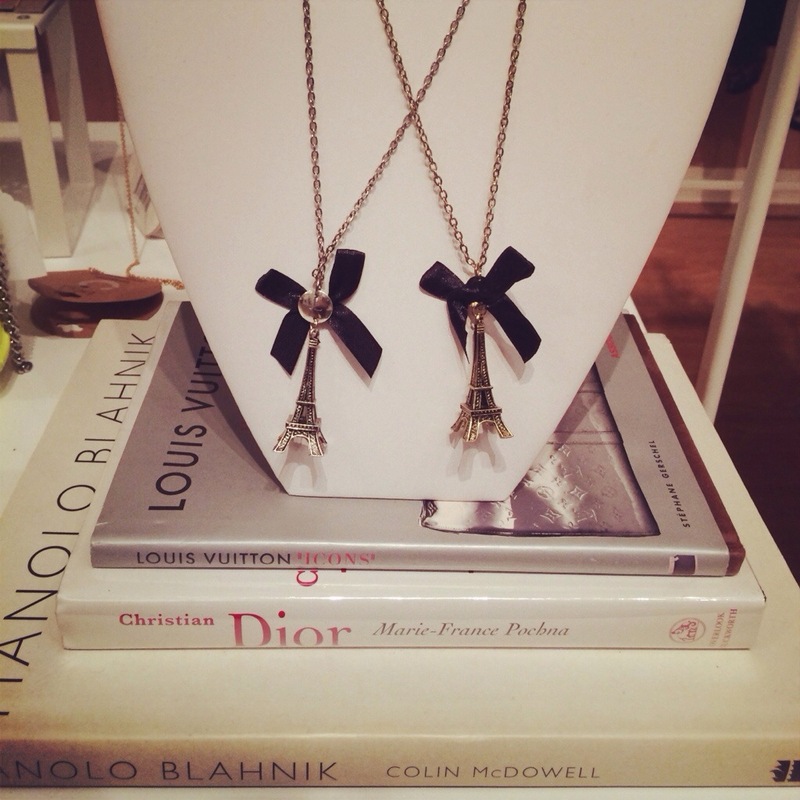 Using the books about high-end designers to display jewelry is such a creative idea and adds a chic touch. Whether you are looking for a fancy frock to wear out on the town or a casual, oversized sweater, you can find it here. I love the jeweled neckline on this pale pink dress. It’s right on trend with the pastel color palette that is popular this spring. 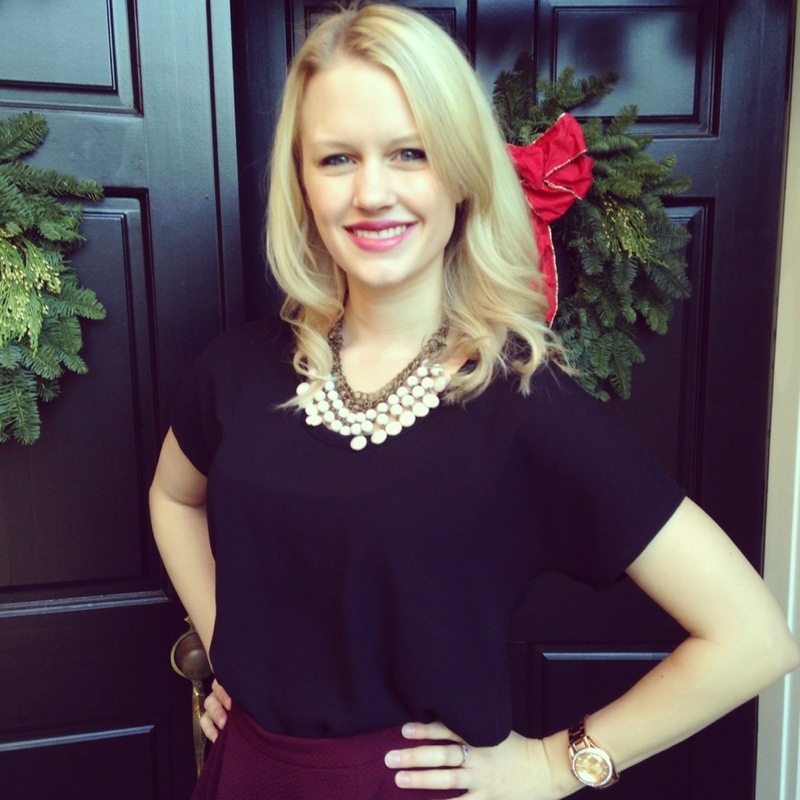 This lace top with the subtle, sweetheart detail is a fun, feminine piece from Sugarhill. The Eiffel Tower print tank is another piece from this London-based boutique. Doesn’t it just make you want to be a jetsetter and eat colorful macarons in France ? Floral is my favorite trend this season. 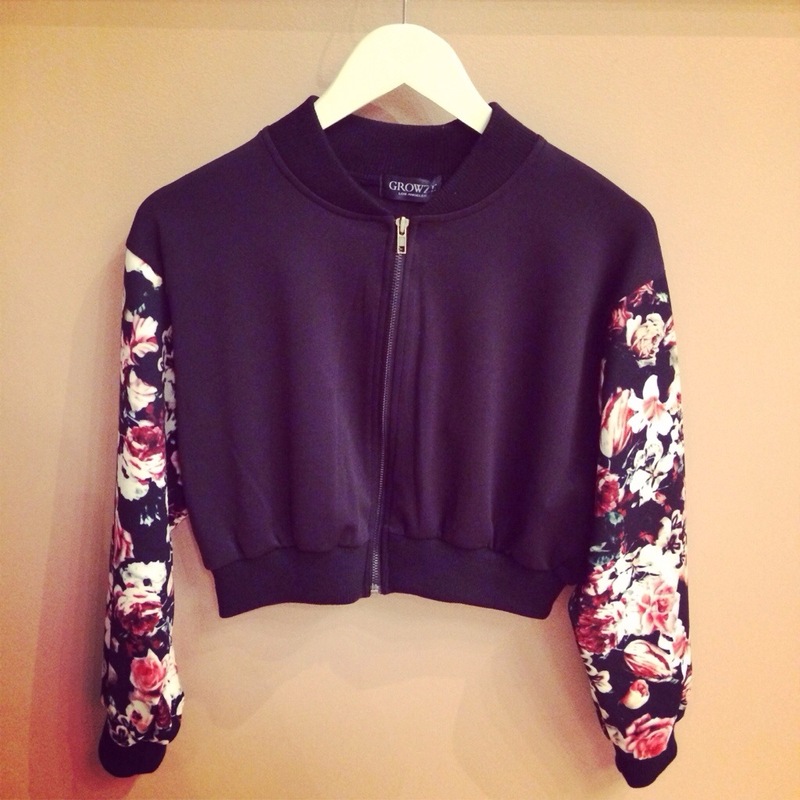 The patterned sleeves take this cropped bomber jacket from being simple to making a fashion statement. It would look great paired with a basic white tank, distressed jeans and d’orsay flats or heels. These unique styles are definitely worth checking out next time you are in Las Vegas. I’m obsessed with everything burgundy or oxblood this season – especially my new skater skirt form an adorable boutique in Las Vegas. For a holiday gathering with my family in Seattle, I added seasonal layers to keep warm in the chilly winter weather. 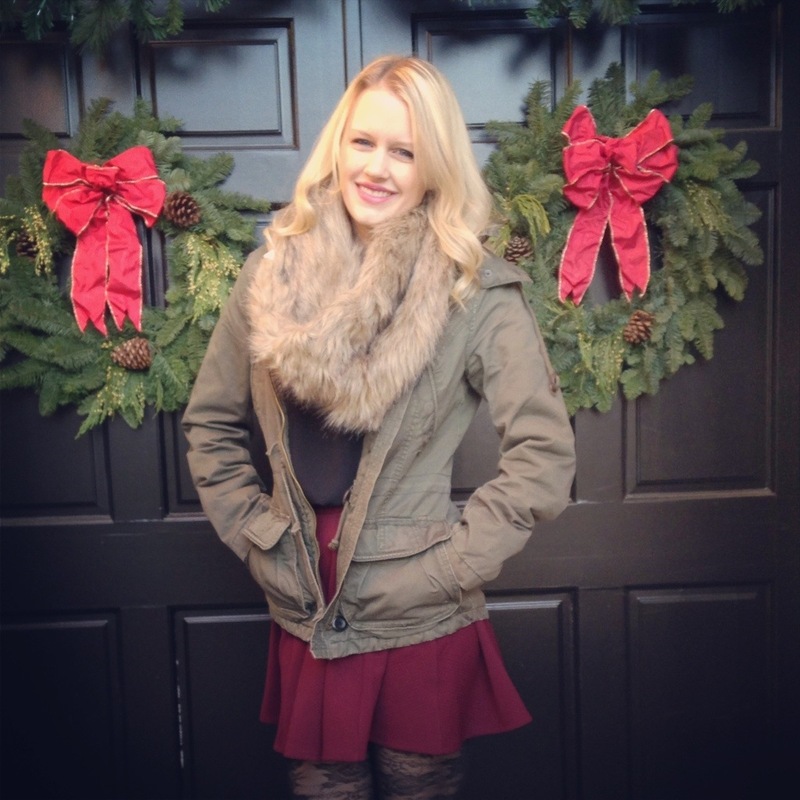 The faux fur scarf creates a luxe look and is so cozy! Complete the simple style with patterned tights and fringed booties for a trendier vibe.